Learn how to take back control of your energy, and get back to doing the activities that matter to you. If you’re a person living with fatigue, you know how difficult it can be to find the energy to participate in life. Maybe you’ve become disconnected from your friends, family, work and the activities you enjoy because the impact fatigue has on your life. We also bet that you’ve tried a lot of different treatments so far to help improve your fatigue. You’ve seen doctors, specialists, and worked with all types of different experts and health professionals in an effort to finally feel better. But you still can’t seem to get back to doing the things that matter to you – and in many ways, you’re still at the mercy of however much energy you have on a given day. Our goal is to help you learn the strategies and tools you need to manage your fatigue, independent of your level of fatigue. What we mean by that is this: we can’t promise you a cure for fatigue (nobody can, truthfully) or that you will experience less fatigue when you work with us. But here’s what normally happens instead: people learn how to re-engage with the activities they’ve been missing out on due to fatigue. They are able to exercise, move more, and spend time feeling more productive. Our clients learn how to manage flare-ups in their fatigue, so that if their symptoms rise, they have the tools they need to stay on track. People learn how to better manage their fatigue so that their ability to participate in work and life roles increases – which means that you start doing more of the stuff that matters to you. We’re here to help you take back control of how fatigue and low energy impacts your life. What exactly is the Purple Co Fatigue Management Program? Our Fatigue Management Program is a 6 week, one on-one coaching package developed by the team of Occupational Therapists, Rehabilitation Counsellors and Psychologists at Purple Co, the Purpose for People Company. We help people get back into work and life after they’ve experienced injury, illness or trauma. Through our work with clients, we’ve come to realise that people benefit most when they learn the strategies and tools they need in order to manage their fatigue, rather than relying on treatment alone. We created the Fatigue Management Program to fill the big need that exists for countless people dealing with fatigue: “I want to learn how to do the things that matter to me again”. Over the course of 6 weeks, you’ll have weekly one-on-one sessions with one of our experienced Rehabilitation Consultants. We won’t just walk you through the content of the program – we’ll sit down with you each week to discuss your concerns and questions and help you figure out how to implement the strategies we teach into your life in a way that works for you. Purple Co offers the Fatigue Management Program through Life Insurers and direct to the public. Get in touch to discuss how we can help you or your client manage fatigue. This is not just an educational course where we teach you some nice strategies and send you on your way. Every program is customised for everyone we work with, and we do not give vague, “blanket” advice. We care about you, your life, and how to make the fatigue management strategies we teach work for you. Every week, you’ll receive one-on-one coaching and advice from an experienced health professional, to help you figure out how to set goals and stay on track. We’re there to troubleshoot and support you every step of the way. When people participate in our fatigue management program and implement the strategies we teach, here’s what typically happens: People’s fatigue severity (i.e. their level of fatigue) typically does not change, (although sometimes, it does decrease). We expect this, as this is a not a program that attempts to reduce your fatigue – rather, this program has been proven to reduce the impact that fatigue has on you and your life. We care about helping you manage your fatigue so that you can get back to doing the things that matter most to you. All of our clients have reported a reduction in how much fatigue impacts their life. This means that their choices and their activities are less dictated by their fatigue than they were before our program. And of course, our clients typically learn a wide range of new strategies for managing their fatigue! 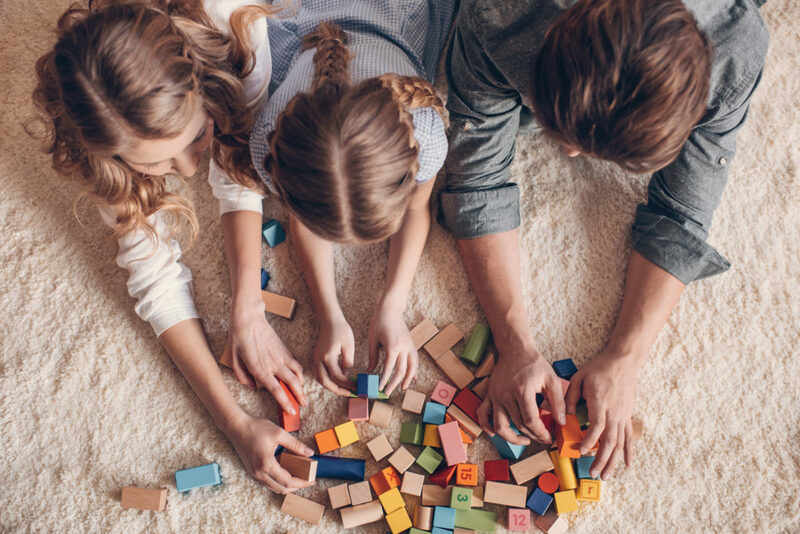 In real terms, this means that people are able to get back in participating in the activities they care about: things like exercise, hobbies, and spending time with their family and friends. If you’re not working (or on reduced hours) due to your fatigue, we can also tailor the program to help you get ready for work, improve your capacity, and help you stay well at work when you get back. Want to learn more? Contact us, and we’ll talk to you about our program in more detail and help you decide if the Fatigue Management Program is right for you. If you would like to discuss this program with your insurer, doctor or treating health professionals, you can print out a brochure here. Please note – If you’re currently in receipt of income protection or salary continuance benefits, you may eligible to receive funding for the Purple Co Fatigue Management via your insurer. If you’re not sure, please get in touch. Fatigue conditions are becoming increasingly prevalent in income protection claims. At Purple Co, we’ve developed the Fatigue Management Program to address this growing need. Working with a client with fatigue requires a different approach – and the goal posts, especially at the start of any chronic fatigue recovery program, are different. This is something we talk about in depth with our clients who are referred to us for help with their fatigue. The Purple Co Fatigue Management Program isn’t about returning to work – yet. That’s a really quick way to disengage someone who is in the early stages of recovery. 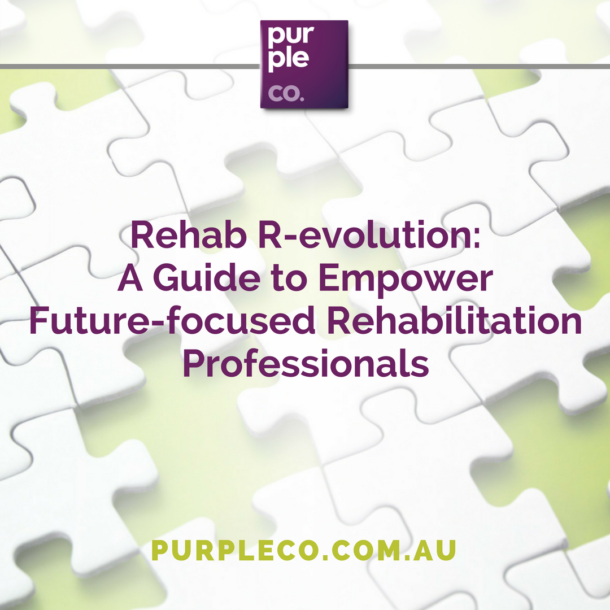 Rather, our primary job as Rehab Professionals is to help our clients put the building blocks in place so that working again in the future is possible – and so they can start re-engaing with their life now. The most important functional gains we can help a person make in the beginning of their recovery from fatigue will often happen in the home, not at work. Over the course of 6 weeks, we deliver one-on-one education, coaching and support to help clients with fatigue improve their function in the home and the community. Our fatigue management program serves as a basis for establishing the level of function and energy conservation skills that people with fatigue will need in order to return to work. We believe that programs like this are the missing link between treatment, medical management and improving function and capacity – not to mention the fact that these programs have the potential to significantly improve people’s quality of life. We’ve reported extensively on the effectiveness of our program here. Want to learn more about how our fatigue management program can help?